RAPAPORT... Swiss luxury watchmaker Breitling will not return to Baselworld in 2020, and will instead focus on marketing through its own platform. Although the watch and jewelry exhibition proved successful for the company this year, the fair’s new schedule, which will begin next year, clashed with Breitling’s. “The decisive factor is the timing of Baselworld at the end of April, which cannot be reconciled with our scheduling,” Breitling CEO Georges Kern said Sunday. 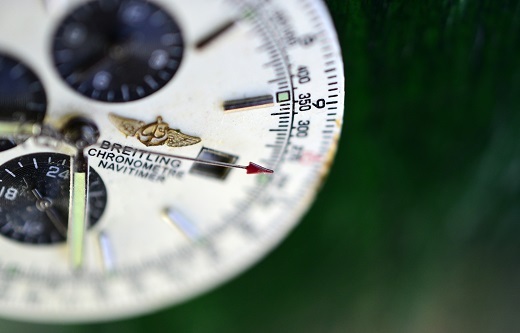 The watchmaker intends to focus on its own event, the Breitling Summit. The platform enables the company to be more flexible, and to interact on a personal level with its customers, media representatives, sales partners, and collectors, Kern noted. Last year, Baselworld owner MCH Group announced it would hold its fair at the end of April rather than in March in 2020, to synchronize dates with the Salon International de la Haute Horlogerie (SIHH) show in Geneva. The alignment was an effort to make it cheaper and easier to attend both shows. Breitling left open a possible return to the watch show the following year. The company also noted the changes at this year’s fair were positive. The positive innovations were also noted by Rolex sister brand Tudor, which will expand its presence at Baselworld and showcase at its own stand, fair organizers said.